Ok, where on earth did the summer go? It was a busy and good one. I was surprised to see how many projects I actually completed in August. Two of the projects were for blog hops and two were Bee Blocks. Seems I work best under pressure! 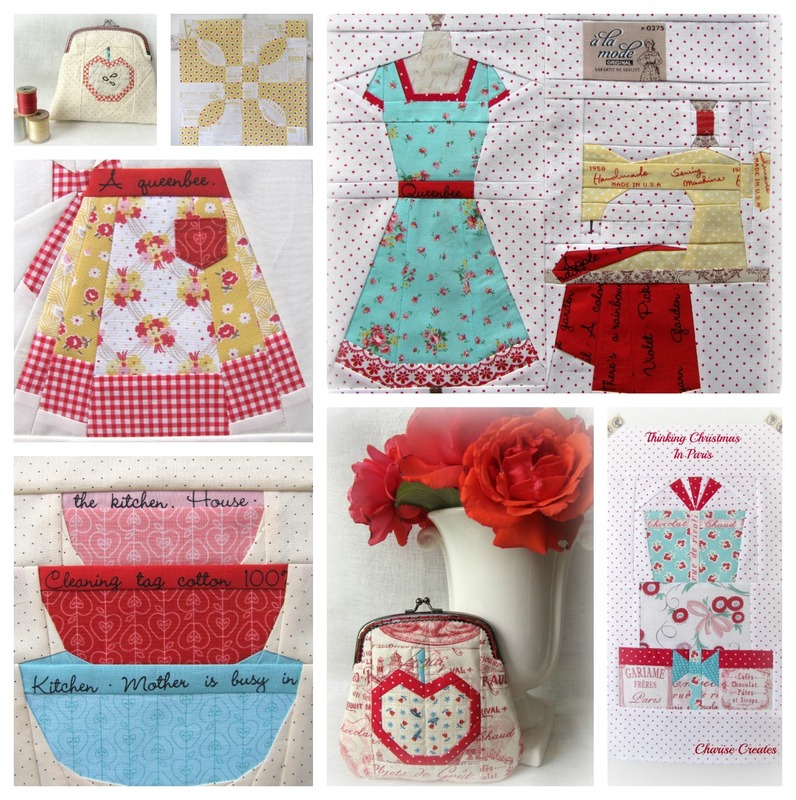 Lovely Lynne is hosting her Small Blog Hop and Fresh Sewing Day. Here is my little mosaic of finishes! We (my boys and I) spent most of August at Colman Pool. It has become a summer ritual for us. We didn't have the warmest of summers but the boys didn't seem to mind! 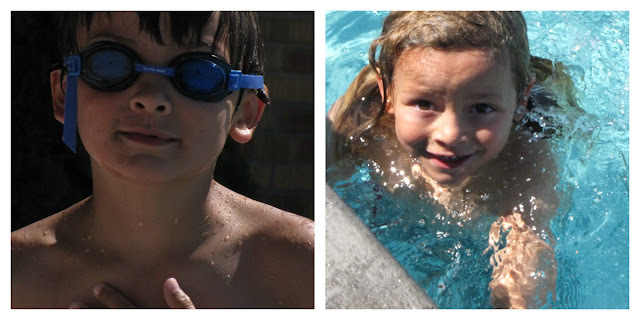 They have both become such good swimmers!! It is an outdoor pool and sits on the edge of a point right on Puget Sound. I can't imagine a better way to spend a day.... swimming with my boys and enjoying the absolutely beautiful vistas of the water and the Ferry boats going by. I'm going to miss spending so much time with the two of them....... They are growing up too fast!!!! Time really just flies! I love your blocks - your vintage sewing machine pattern is on my Sept to make list! Beautiful makes as always Charise! Popped over from Lily's Quilts Fresh Sewing Day. Love those paper pieced blocks - they're so sweet! i am like Pennie and have popped over from the lovely Lily's Quilts. LOVE your piecing, its brilliant , especailly the skirt.... and have to say v envious of your trip to Pugte Sound. Loved it when I visited many yeras ago. Makes me have itchy feet to return. I love those paper pieced blocks - they are so amazing! You had some spectacular makes this month and it sounds like sewing did not get in the way of lots of family fun. Win-win! These are really neat. I especially love the vintage sewing machine! Gorgeous projects this month! I love seeing what you are making - you have such a fabulous quilting style.